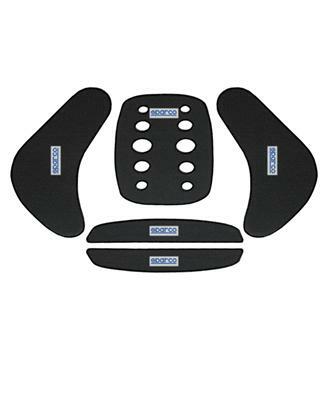 02798 - Sparco Karting Accessories - Seat Pad - Pann Auto Performance - San Diego largest aftermarket automotive performance parts - What do you drive? Add a layer of comfort to you kart seat with Sparco Seat Pads. Made from a ruberized material, Sparco Seat Pads will absorb vibration, protect your seat and add comfort.